is a semi-retired scientist. I have a degree in Agricultural Science, a PhD in Animal Science and a Graduate Diploma in Environmental Studies. I am passionate about the sustainability of our environment and my biggest concern is Global Warming, but I believe that every individual can play a part in addressing the Bigger Issues. I am a keen bird watcher and photographer, a writer, and enjoy many crafts. 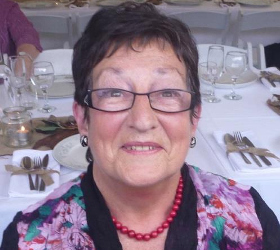 I also have a Certificate III in Home and Community Care and I’m a Volunteer Peer Educator with COTA for Older Australians and have been involved with State-wide Community Conversations in association with the S.A. Government Health Department. I am currently involved as a Peer Champion (or Go-to person) for the My Aged Care Support Program.